Howie Rose could not have put it more perfectly when, after the Islanders victory, he said, "Everyone around the New York Islanders can take one long cleansing breath." Right after I heard that, I did just what he said, and I felt a little better, and I hope you did to. The knowledge that this streak of futility would not end up in the record books really made me feel good. Nobody wants to be a fan of 'That' team that sets a record nobody wants. After 14 straight defeats, we can now look forward to the rest of the season, and what better way to start a new chapter of the season than a home at home against the Rangers. I am just baffled. 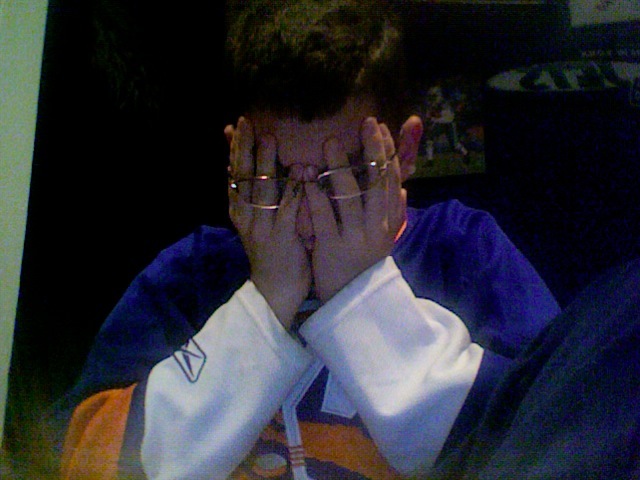 Words can't describe my disappointment towards the Islanders right now. 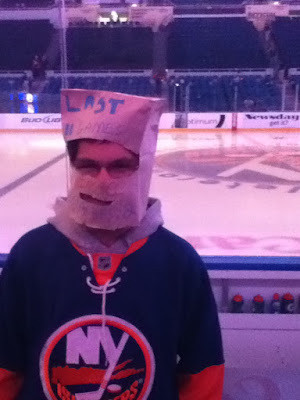 So, instead of words, I will show you how I dressed to attend the Islanders vs Panthers game last Saturday. Everyone that saw me had to comment on the bag. The security guard did extra checks on me. People were laughing. Everyone stopped in their tracks to read it. Sparky, the mascot, attacked me. A guy told me Happy Halloween. Even one of the Islanders Ice Girls asked me why I was wearing a bag. Every time someone asked me why I wore a bag, I simply said, "Read the bag." That got most people to quiet down. The bag got so much attention, a few people even asked to take pictures of me. I wore the bag for one simple reason. I can't stand the way the Islanders are playing. I am not going to talk about the stats, those can be found somewhere else. 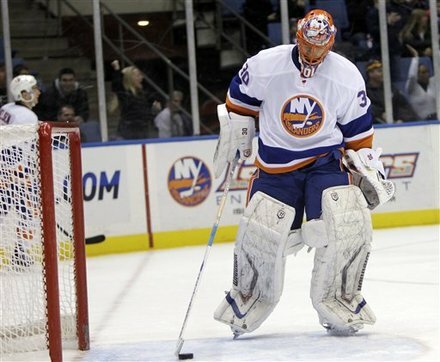 The Islanders are becoming have become the laughing stock of the NHL, and some one needs to do something. Yes, Scott Gordon has been fired and replaced by Jack Capuano. But what did that really do? Short term, just more losses have happened. Hopefully some wins will be coming soon, because I am sick of the losing. Hopefully you are too. How do you think this will end up playing out? Alright, now I am forced to talk about this. With the recent firing of Scott Gordon, the Islanders are left in the hands of a former Isles assistant coach and former head coach of the Isles AHL affiliate, the Bridgeport Sound Tigers. Who is this mystery man who just had an NHL franchise dropped on his shoulders? "Who is Jack Capuano? I have never heard of him before." This is the first thing that went through my mind after I heard about the coaching change at school. After some crafty texting and looking at my iPod touch, I found out exactly who the Islanders had hired. Here are some facts about the new man in charge of the New York Islanders. His youth matches the Islanders. At 44, he is younger than Scott Gordon, and one of the youngest coaches in Islanders history. Capuano has a history of playing hockey. He was drafted in the 5th round, 88th overall, in the 1984 NHL draft by the Toronto Maple Leafs. His NHL career was not too long, only 6 games. He played with the Maple Leafs, Vancouver Canucks, and Boston Bruins. Capuano's short NHL career would not register any points, but he would gain experience. After his playing career, he turned to coaching. From 1997-1999, he was the head coach of a minor league team in the East Coast Hockey League. After he left the bench, he was the General Manager of the team until the team folded in 2005. The Islanders hired Capuano to be an assistant coach for the 2005-2006 season, right after the NHL lockout in 2004-2005. That season, the Islanders only got 78 points and finished 12th in the Eastern Conference. 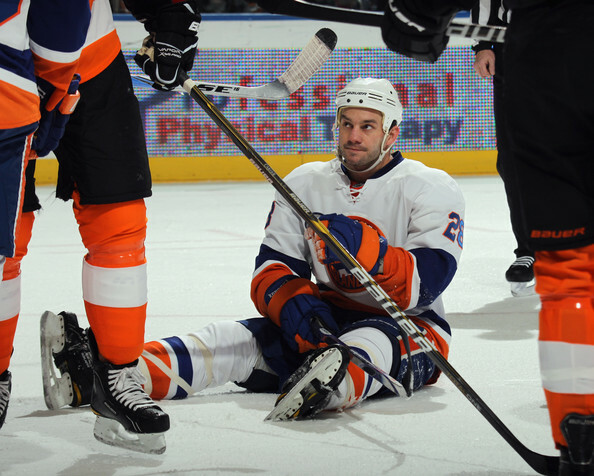 The next season, Capuano was an assistant for the Bridgeport Sound Tigers, the Islanders AHL affiliate. After that season, Capuano was named head coach of the Sound Tigers and remained as the head coach there until he was given the Islanders head coaching job. He had an impressive record as the Sound Tigers head coach, 133-100-8-14 in 3 seasons as head coach. Capuano has coached 10 of the Islanders current players, which may be key since he won't have to get to know all of the players from scratch. This experience with the players will definitely help him with the team. Jack Capuano brings a fresh start to the Islanders, and they really need it. 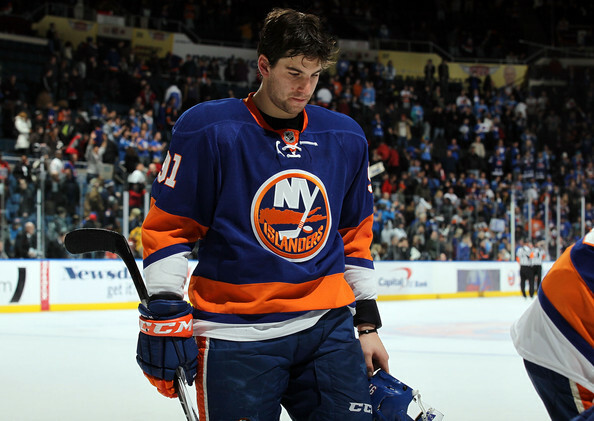 10 straight losses makes no one happy, except for the Islanders opponents. All of these facts say something about the person, but will it help the Islanders win games? I really don't want to talk about the Islanders recent struggles. 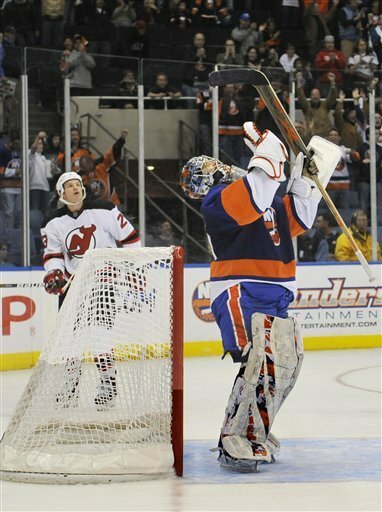 So instead, I will show you a video of one of the better times in Islanders history. Although the Isles didn't win that series, the Coliseum was rocking and the Islanders had a great team. Will they get back to that form? Only time will tell. Nino Niederreiter sent back to juniors. Was it the right move? If you have not heard, the Islanders sent their first round draft pick from the draft, Nino Niederreiter, back to the Portland Winterhawks of the Western Hockey League. Did the Islanders make the right decision? In his short 9 game in the NHL, Niederreiter showed that he could compete with the best in the NHL. 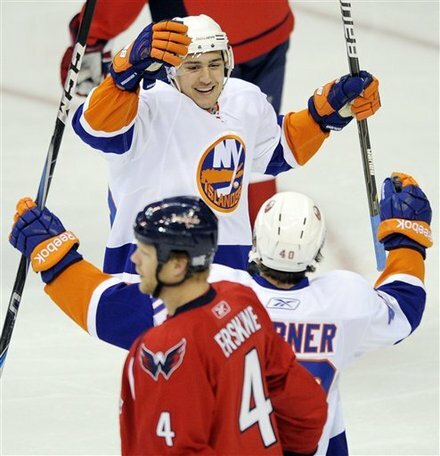 He scored his first goal against the Capitals on a perfectly executed play by the Islanders. Niederreiter was waiting in the slot when Doug Weight gave him a pass, and he shot it right past Capitals goalie Michal Neuvirth. The line combination of Niederreiter, recently acquired Michael Grabner, and veteran Captain Doug Weight has been producing for the Islanders. Those 3 have a combined 5 goals and 8 assists so far in the early season. El Niño has not been afraid to play physical so far this season, registering 16 hits. The Islanders have been in the rebuilding process recently, and what better way is there to have a guy develop and gain experience than playing against the best players in the NHL? Nino has not been putting the puck on net that much. Getting only 12 shots on net during the first 9 games. 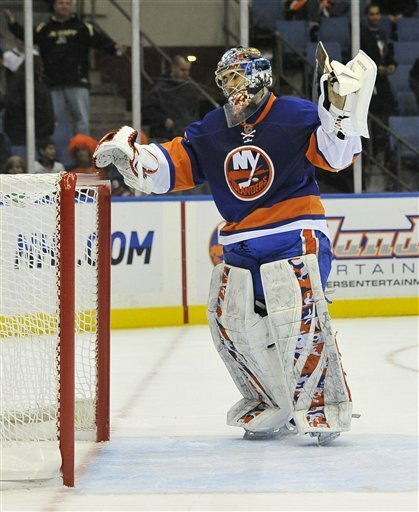 The Islanders surprised many people, starting 4-1-2 with 10 points. They are trying to contend for a playoff spot now, and not wait for the future. 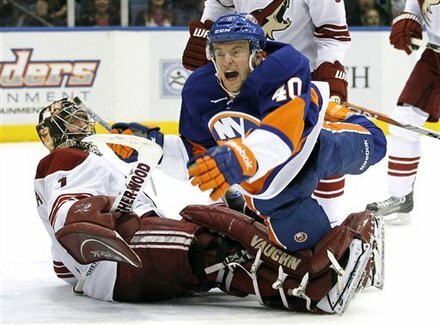 Rob Schremp is due to come back to the team in the coming weeks and the Islanders may need to keep a roster slot available to him now, rather than keep Niederreiter in the NHL for the whole year and start his 3 year entry level contract, which can now start next season. While in juniors in Portland, Niederreiter can be a big leader for his team, and gain some valuable lessons, which he will hopefully bring back to Long Island next season. 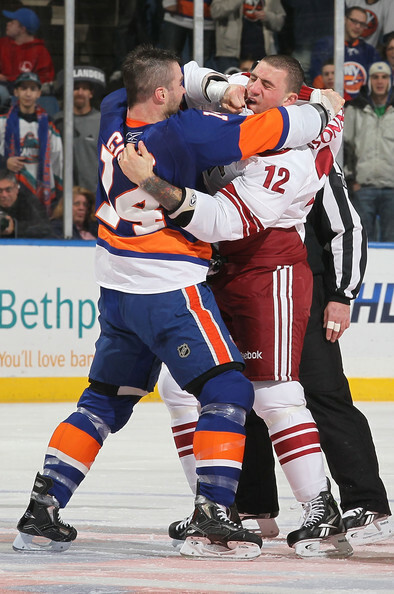 Do you think the Islanders made the right call? Answer this week's poll question and let me hear what you think about this decision. Hello. For those of you that don't know me. I'm Aaron. 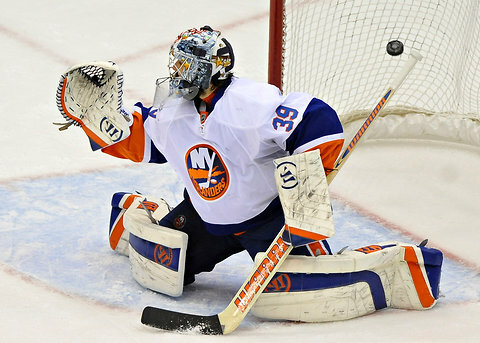 I will be blogging about the New York Islanders hockey. Game recaps, opinions, whatever you want. I blogged about the Islanders last season, but due to technical issues, I can't update that blog anymore. You can see that blog HERE. I have been a fan of the Islanders my whole life, and I will update you on my past with the Islanders whenever time allows. Feel free to answer the poll on the top of this page. Also, don't hesitate to comment. I would like to hear your opinions. Lets Go Islanders!